The fact that I can find videos like this on Youtube proves that I am hardly the only Les Mis obsessed person out there. 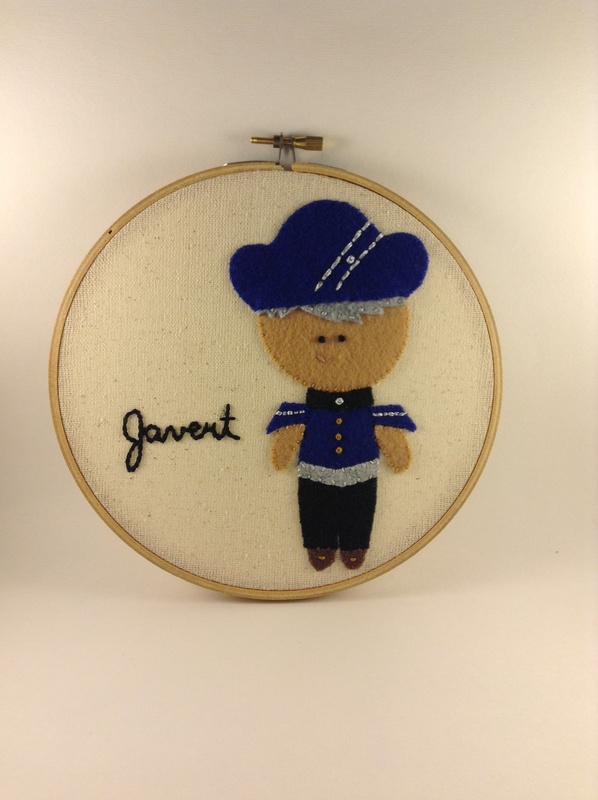 This must have taken some time to make as well as knowledge of who the best/worst actors to have played Javert were/are. So, who was your favorite? If your answer is Russell Crowe, then you’re wrong (he puts no emotion into his performance). I will accept either Philip Quast (the other white guy) or Norm Lewis (the black guy) as the correct answer. While I love both, Norm Lewis wins this for me. He is amazing! And I know that I Dreamed a Dream is suppose to be everyone’s favorite song from this musical, but truth be told, my favorite is Stars. 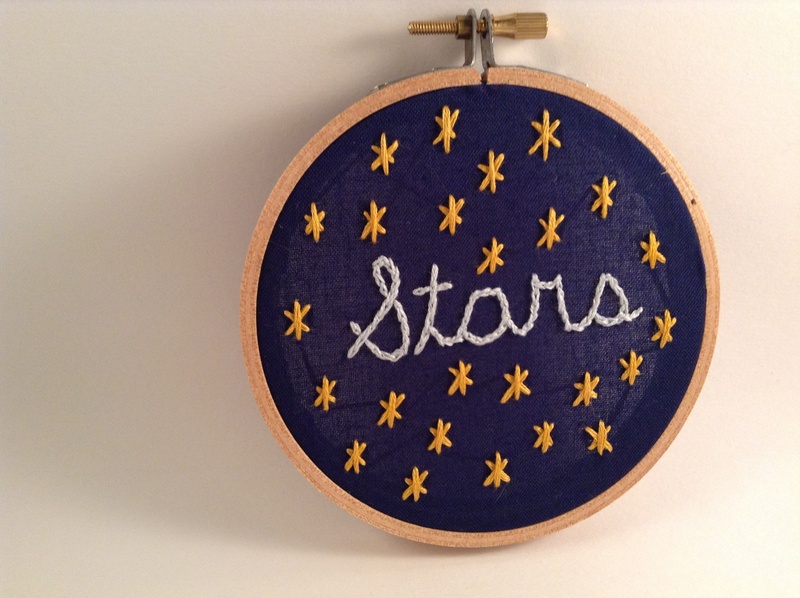 And this, of course, is my artful depiction of Stars. I actually did lip sync this song (to the Norm Lewis version) on my birthday and I’m pretty sure that my sisters would tell you that this tiny hoop is much prettier that my actual Stars performance (but equally entertaining, I’m sure). So what do you think? 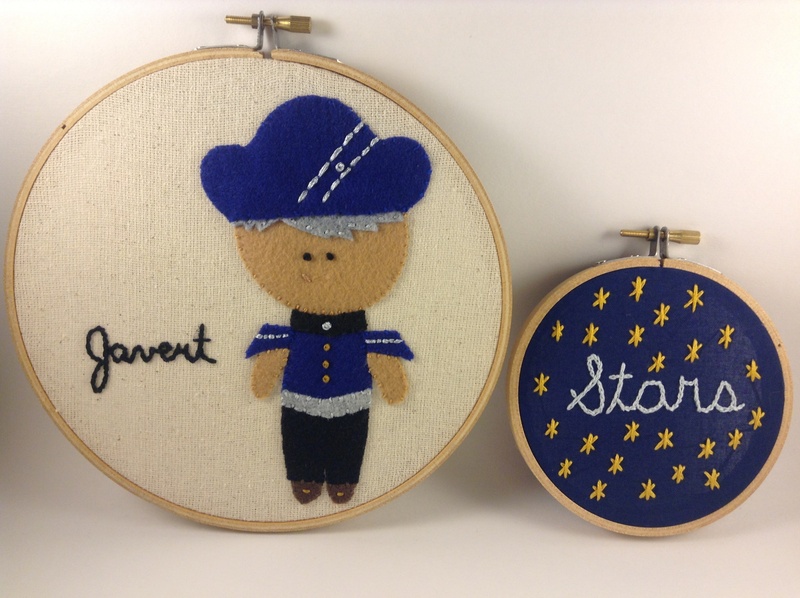 He’s kind of hard to dislike when he’s only about 6″ tall and composed of felt and French knots with one tiny stitch as a smirk. Don’t tell anyone else, but I rather like him. Aww, he’s a cute little thing! !